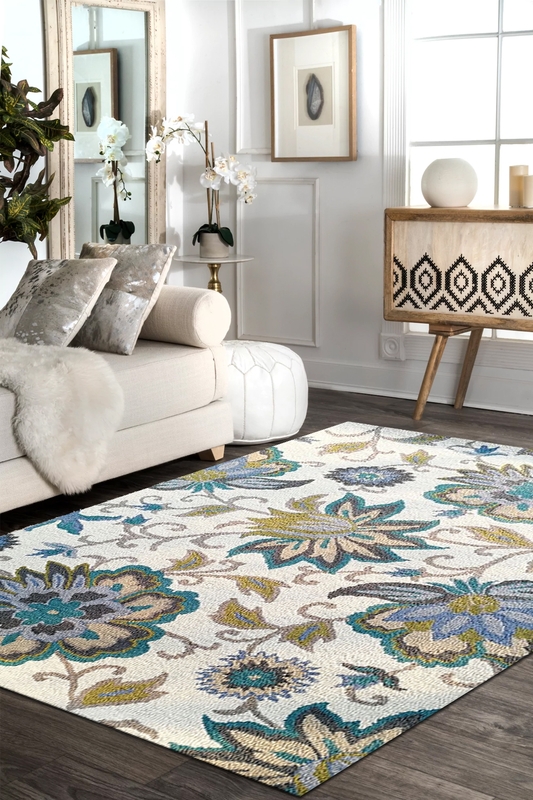 Buy this masterpiece from Rugs and Beyond which is hand-Tufted in pure New Zealand wool and cotton material. The design has been inspired by a flower garden. This is 100% hand washable carpet and ideal for a living room. Soft and beautiful look it has. The ground of this carpet is the main eye-catching points because it looks like a garden which contains multi vibrant flowers. It contains floral design pattern. Due to the pure wool it has very soft touch. So give a comfort to your décor and place this rug on your floor.